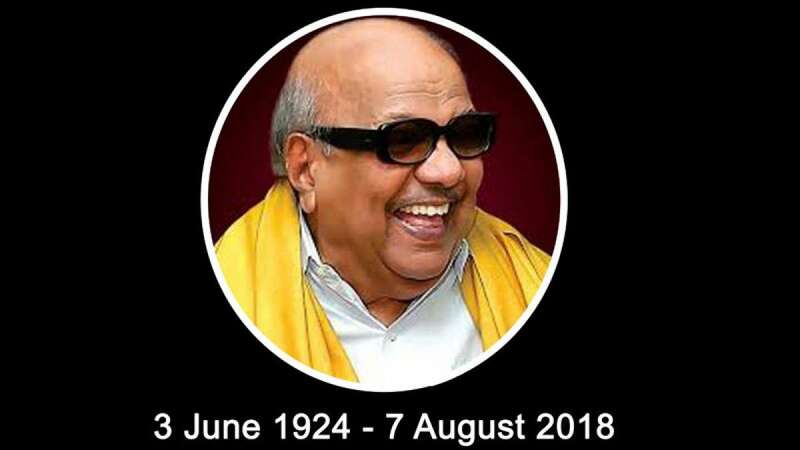 Chennai : DMK chief M Karunanidhi, who played a crucial role in shaping up the politics of Tamil Nadu, passed away on Tuesday. He was 94. He was suffering from fever due to UTI infection developed post a surgery on July 18 to change Tracheostomy Tube. Karunanidhi is survived by two wives and six children. Karunanidhi was the first man to bring a law that gives women equal right in the ancestral property, even before the law was passed by Indian government. The late DMK chief took steps to bring more IT based firms in Tamil Nadu. He focuses, not just on Chennai, but equally upon the Tier II and Tier III cities, giving a boost to the state's economy. He brought in a first class public insurance scheme 'Kalaignar Kaapittu Thittam' to help poor on massive scale. Karunanidhi launched first graduate scheme, under which free education was to be provided for the first graduate from a family irrespective of the gender. Believing in the philosophy that no man is above another, Karunanidhi banned the hand-pulled rickshaw. Similarly, he removed peddling rickshaws while providing income alternative to the people involved. Karunanidhi was the first man to bring proper waste management system in Tamil Nadu. Karunanidhi practiced atheism and never involved religion in order to win elections. Karunanidhi singularly opposed emergency and said 'No' to Indira Gandhi, which irked the then PM and resulted in dismissing of the DMK government. Known for his shrewdness and manoeuvring abilities, Karunanidhi became Chief Minister for the first time on February 10, 1967.